The Union Home Minister Rajnath Singh on Tuesday failed to table the Citizenship (Amendment) Bill in the Rajya Sabha following chaos in the House over Samajwadi Party (SP) leader Akhilesh Yadav issue. Yadav was stopped at Chaudhary Charan Singh International Airport at Lucknow airport. Hours after the House started at 11 a.m. on Monday chaos started and the Chair adjourned the House till Wednesday. However, Minister of State for Home Kiren Rijiju has said in the Lok Sabha that there have been “misplaced apprehensions” about the Citizenship (Amendment) Bill. “There are reports of some protests due to certain misplaced apprehensions about the Bill,” Rijiju said during a Lok Sabha session. He said that political leaders from northeastern states have met Union Home Minister on various issues related to northeast including the Citizenship (Amendment) Bill. “Various provisions of the Bill have been clarified to them,” he said. 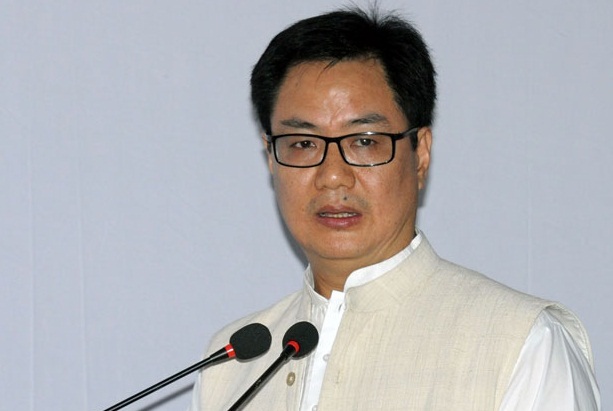 Amid chaos in the Lok Sabha, Rijiju said that the central government has also apprised the representatives of northeastern states of the steps that have been taken to preserve the cultural, social and linguistic identity and heritage of the people of northeast by constituting a high level committee. The Citizenship (Amendment) Bill was included in the revised Business list of the Rajya Sabha on late Monday evening.